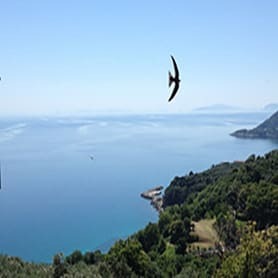 Located near crystal clear Aegean beaches on the Pilion mountain of mainland Greece, the Kalikalos Holistic Network offers from May through September in three nearby centres a summer program of holistic workshops, retreats, and alternative holidays along with a community-building experience patterned after the Findhorn community in northern Scotland. At these centres we demonstrate the power of authentic community as a vehicle for a new culture of cooperation, partnership and sustainability. Our programs draw people from all around the world to live, work, share and play together. Our campus in the village of Kissos celebrates its 10th season of holistic education with workshops in creative arts, communication, healing and sustainability. 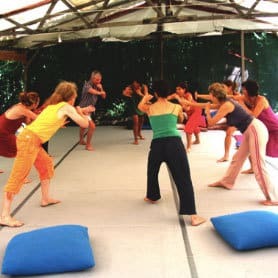 Our relaxed Anilio centre is nestled in the chestnut forest with a spacious garden for outdoor living and a great space among the trees for dance and movement. The beautiful Hotel Alexandros retreat centre, calm and serene, nestles in olive groves overlooking an expansive sea view above Plaka beach. More than just retreat and workshop centres, the Kalikalos summer school Centres are each authentic communities where all community guests, workshop participants and volunteer staff live and learn together. We collaborate in the rhythms of a healthy, holistic, vegetarian lifestyle to support the transformational learning that goes on in the workshops. This is holistic education in practice. In 2001, a group of friends from the Findhorn ecovillage community in N. Scotland transplanted some seeds of Findhorn to the Pelion region of Greece. The project has undergone several transformations over the years as members and venues settled into place. By 2009, two campuses had emerged—Kissos and Anilio—sharing resources and a common vision. In 2013, we opened a third campus at Hotel Alexandros above Plaka beach, and the three centres are now united as interdependent sister campuses under the "Kalikalos Holistic Network" umbrella. 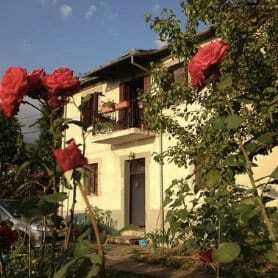 We offer wide range of holistic workshops in Pelion with beach-time everyday. We have many affordable ways how you can get involved. Volunteer as staff for example. Help to spread the word amongst your local community. Download a Kalikalos Flyer or Poster here. Subscribe to our Newsletter to benefit from all our offers. Specials are only in this newsletter. Join one of our Spring community building workcamps for 2-4 weeks where we open up our Centres, do Spring house-cleaning, and get the organic gardens going. Alexandros campus (1-15 May), Anilio campus (1 April – 31 May), Kissos Campus (4-31 May). 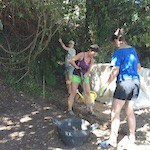 Meals and accommodation included, from €75-€90/week.